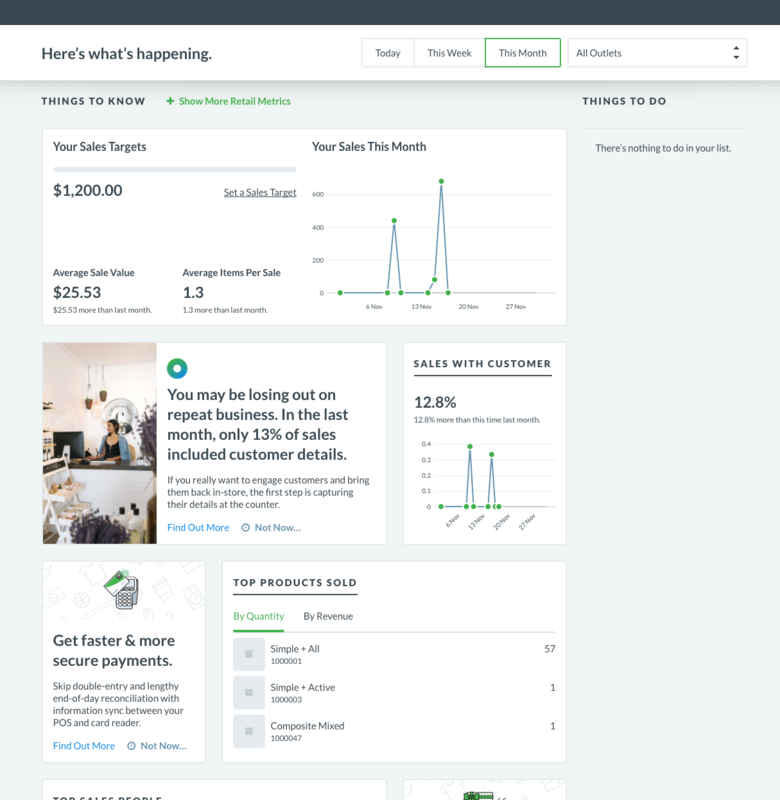 Point-of-sale (POS) retail software company Vend has taken its first steps into AI to help retailers grow and compete as part of a major platform refresh. Dott aims to help retailers make better decisions about their stores and how to grow, bringing the much talked-about promise of AI to life for retail. Neither male nor female, Dott works as a friendly dot within Vend to surface suggestions and tips for retail users based on their activity in real-time. Dott learns about the retailer and their business based on how they use the Vend platform day to day, and by analysing their sales, product, customer and inventory information in real-time. It then makes personalised suggestions to retailers on what they should do next to grow their business, literally helping retailers join the dots. Dott will also learn industry-wide trends from tens of thousands of retailers using the Vend platform across 140 countries. As it learns and develops further, Dott will be able to give retailers a heads up on new product trends and customer behaviour, provide regular reminders to replenish stock or fulfil an order, or analyse a retailer’s sales trends and provide suggestions on promotions to run or customers to re-engage. Vend founder Vaughan Rowsell said: “AI means many things to different people, from talking to Siri to autonomous cars. The launch of Dott is part of a major investment in the Vend platform, and is only the start of the company’s push into AI. Vend plans to grow its product and engineering teams by 25 per cent in the next six months so they can go deeper into these new areas of AI and big data, as well as building for other best of breed platforms and new online retail channels like Facebook and Instagram. It is currently hiring for software engineers, product managers and product designers in its Auckland office. “Vend is the only pure cloud-based retail POS platform for inventory-based retailers,” Rowsell said. Vend has also delivered a large pipeline of new features and services over the past six months. This includes a totally reimagined mission-control home dashboard, a re-built and streamlined core inventory platform, and a soon-to-be-launched suite of advanced promotions, plus the Scanner by Vend inventory counting app. Vend has also recently announced partnerships with the Commonwealth Bank of Australia, Square in Canada and the UK, PaymentSense in the UK, and Yoco in South Africa. Dott in its first iteration is live on the Vend Platform from today.